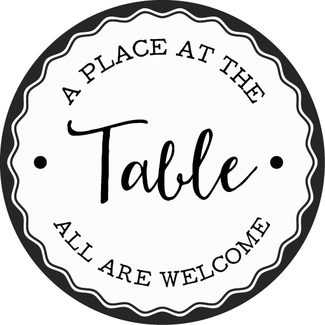 A Place at the Table: Volunteer with us in March! Volunteer with us in March! Come volunteer with us! We will be bussing tables, filling waters, doing dishes, and greeting customers. If there are breaking points in the day, we will even ask you to sit at the community table! 1. Please eat before or after your shift. 2. Please treat this as a job. I know restaurant work is not easy at all, so we so appreciate you jumping right in and figuring it out. If Josh, your shift leader, or I give you a job, please help us do that! I know not all the jobs are glorious or fun, but trust me we all will be doing all the jobs! Please also remember to check the back white board for things to do during your shift. There will be some moments where you are not sure what to do, check the board! 3. Please call or email [email protected] if you are unable to make your shift. 4. Dress code- Wear something comfortable. You will be on your feet the whole time! You want to be comfortable! Tennis shoes, tshirt, and jeans is perfect. Please wear closed-toed shoes. No sleeveless shirts. Bring a hat too! Me and my 12 yo will be volunteering. My sons have the throwing up virus, so we need to cancel. So sorry.